Chelsea legend John Terry is reportedly closing in on returning to Stamford Bridge in a new role as the club’s Under-23 manager. The former Blues captain is widely regarded as one of the club’s finest ever players, having won a host of major honours during his time in west London before leaving in 2017. Terry would undoubtedly be warmly welcomed back at Chelsea in a role that could perhaps see him gain the experience needed to one day be manager of the first-team. After all, it’s not that long ago that football betting sites were talking the 37-year-old as a serious option as CFC replaced Antonio Conte in the summer, though they ultimately went for Maurizio Sarri instead. Terry had also been talked up as an option to be next Aston Villa manager after a stint playing with the club in the Championship, though this has not materialised. Ultimately, it’s unsurprising to see Terry now being strongly linked with a return to the Chelsea as the Sun report of his potential new role with the Blues. The report claims Terry has agreed on a contract worth £800,000 a year and that he’ll take up the role once he properly finishes his coaching badges. The former defender has actually been training for a Uefa license since as far back as 2014, so he should be well-prepared for the job of helping develop Chelsea’s next generation of young players. Unfortunately, not too many of the club’s academy talent actually make it through to the first-team anymore, unlike when Terry broke through in the early 2000s. Still, perhaps having a big and influential presence like the former England international in there could be just what’s needed as he’ll have all the wisdom to pass on to this new generation of homegrown talent. Chelsea, however, will always have the option of recruiting big names in the transfer market, and did so again this summer to overlook some of the exciting youth in their current squad. The likes of Ruben Loftus-Cheek and Ethan Ampadu can probably feel aggrieved to a certain degree not to have got more of a look-in under Sarri, but the club instead spent big on signing Jorginho and taking Mateo Kovacic on loan in midfield. Both are now regular features in the senior side, and it is for that reason that Chelsea fans would probably welcome the prospect of Terry coming in and working with the club’s academy and helping bridge that gap between the youth team and the first-team. This has worked well at some other clubs, with Pep Guardiola the most obvious example, having been promoted from manager of Barcelona’s B team to their first-team in 2008, bringing with him a number of academy players like Pedro and Sergio Busquets into the senior side to great effect. That was a pretty incredible Barca generation, however, and it’s not often you get players like Pedro and Busquets coming through at the same time, not to mention so soon after the likes of Lionel Messi, Gerard Pique and Andres Iniesta as well. 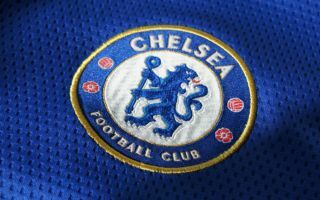 That’ll be the dream for Chelsea, however, though for now one imagines fans will just be glad to see the team flying high under new manager Sarri, who has quickly turned things around since replacing Antonio Conte in the summer. CFC supporters will also hope Terry gets the chance to learn from the Italian tactician to some degree, with the former Napoli boss clearly one of the game’s great tacticians and thinkers at the moment, having so quickly and impressively stamped his philosophy on this team despite joining quite late on in the summer.